As you've begun the process of virtualization to transform your datacenter, you've likely found that IT management processes must change as the infrastructure becomes more flexible. Traditional tools and processes designed for siloed, static, physical infrastructures do not provide the automation and control required in virtualized environments. 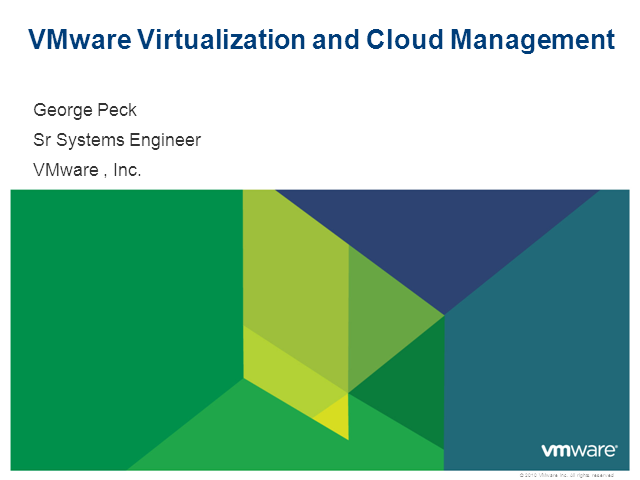 From the industry visionary and leader in virtualization and cloud infrastructure, VMware management solutions are built for dynamic environments to dramatically transform how organizations manage IT and deliver services—allowing you to take virtualization management to the next level. We call it Virtualization Mastery. Master your IT environment and simplify the management of your virtual infrastructure as it grows.